1. Bring a white noise machine. Our kids both sleep with white noise machines (here's the one we use) at home to drown out the noise that WE make, so we don't have to tip toe around the house when it's time for them to go to bed. 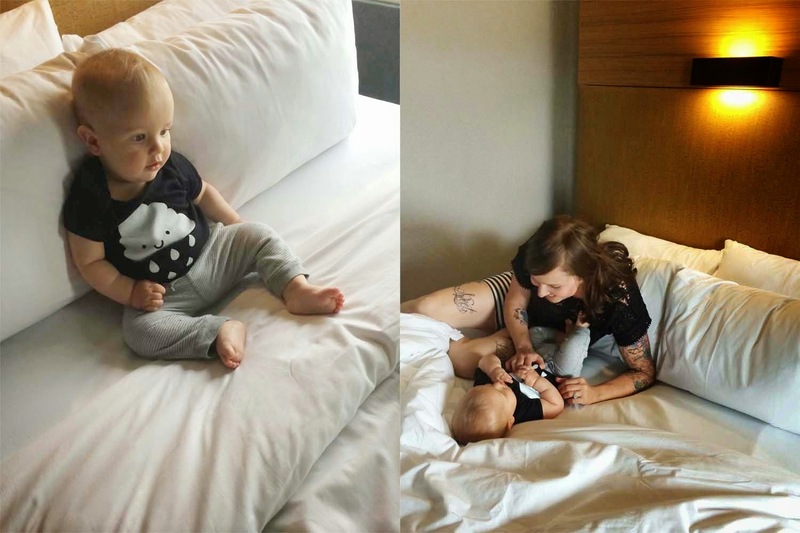 We always bring one on trips, and use it in the hotel room or bedroom, wherever we are. It came in handy during this last San Diego trip because our condo was close to a restaurant and it could be very loud during mid-day, aka naptime. Thank goodness for that white noise making it possible for Henry, Charlie, and Lucy to sleep no problem. 2. 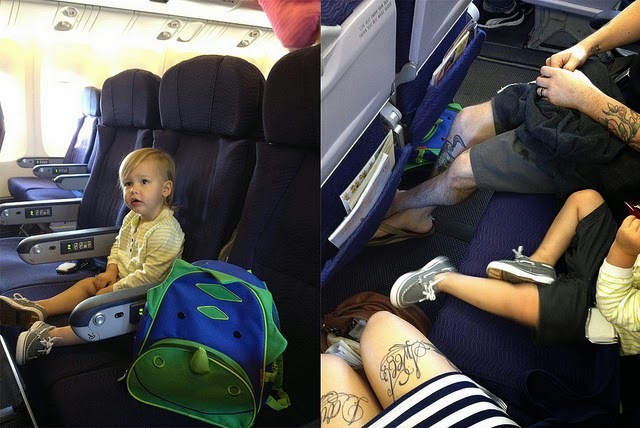 For either car or air travel, have one change of clothes for each child NOT packed away. In our car we actually have a little emergency kit that is always stocked with diapers, wipes, extra underwear and pants for Henry (still in there from potty training days), a onesie, and a couple of different shirts. I can't even tell you have many times those extra shirts have come in handy due to a spill or even just a sweaty car ride down in Phoenix. And when you're traveling by plane be sure to have the same thing in your carry on. Nothing is worse than have a diaper blow out or a huge mess on your hands, and no spare clothes to change into. 3. Split up downtime, sometimes. When you are traveling with small children there will always be downtime, either during naps or early bedtimes. If you're with your partner, there's no need for both of you to sit back at every single afternoon or early night- instead, take turns going out and enjoying your surroundings. During our last Disneyland trip Henry was napping for 2-3 hours every afternoon so Hank and I would switch off and spend time on our own. Hank rode the Space Mountain a few times in a row and I enjoyed walking around my favorite parts of the park. It was nice to have some "me" time, and helped me to recharge a bit too. 4. If you're taking a beach vacation, pack a beach tent. We always, always bring one with us if we're going to the beach or lake and it makes hanging out all day long a breeze. Little ones can nap in there, you can nurse without worrying about getting sunburned, and just relax out of the sun. This is a necessity for us since having kids. 5. If possible, stop by the grocery store when you arrive at your destination. Having the room stocked with water and healthy snacks is the best and cuts food costs by a lot. And so many times when traveling getting breakfast can take awhile (getting there, waiting to eat), that I find having a big stock of things like Larabars to eat in the room when we wake up is key to happy kids and parents. 6. Babywear/nap on the go! 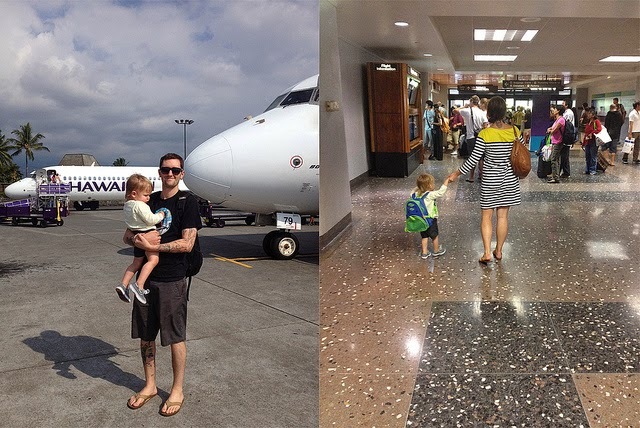 Having a lightweight stroller is convenient too, but so many times when traveling I find myself bringing one then just wearing Henry or Charlie all day long. When I'm visiting a new place it makes it so much harder having to navigate a stroller around too. Strapping your child to your chest or back and being able to walk and move and not worry about one more thing to push and maneuver makes life a lot easier. And as a huge added bonus, many small children will sleep in the carrier. Charlie is still napping twice a day and there is no way we want to sit around all morning, but we also don't want to skip the nap, resulting in a crabby baby. So instead Hank or I will just wear him in the Ergo and he'll fall asleep right around naptime, and get some rest while we explore or walk around. 7. Get there early. Wherever you plan to go, be the first ones there. Museums, "nice" restaurants you want to try, monuments, whatever. With kids earlier is better so you can avoid crowds and enjoy the experience as much as possible. There have been so many times we've had a restaurant on our must-try list, but know that it's probably not the best idea to bring to children to a place that might not necessarily be the most kid-friendly spot (tables close together, low lighting, etc.). So we will look to see when they open, and arrive then. If that means eating at 3 or 4pm so be it, because the place is usually empty and we don't have to worry about ruining someone else's meal with our happy, excited children (see also: loud). And a quick disclaimer- I don't feel like kids should be silent or we should live in fear of ruining anyone else's time (kids will be kids! ), but I do feel like there are certain types of restaurants or places where yes, kids WILL ruin the ambiance, or possibly someone else's dinner, and I think it's courteous to avoid that. 8. Make little entertainment packs aka "bags of tricks." When on vacation there are some times that he needs a bit of downtime or distraction, especially if we go out to eat and we want to enjoy a nice meal without having to rush and get out of there before he gets bored. So before traveling I will stop by the dollar section at Target and pick up some fun little toys, crayons, coloring paper, and new books, and put them into little packs I can bring out when needed. If you're flying it's always fun to wrap little toys up too. Nothing expensive or fancy- 99 cent Hot Wheels are always a huge hit and the entertainment factor goes a long way. 9. Let go of expectations! You're talking to the former queen of expectations here. Kids will kind of shock that right out of you though, because the number one rule while traveling with small children is to just go with the flow. Nap time won't happen at the normal time, bedtimes will be later, and in turn kids won't be their normal selves. Maybe crankier, maybe crazier, and plans won't work out just as you envisioned them to go. Instead of fighting against it, go with it. The sooner you can let go and accept that your happiness doesn't depend on everyone else having the perfect time, or being in the best mood, you'll be able to enjoy your trip in all of it's imperfect perfection. 11. Always pack hats for everyone in your group. 12. Bring peppermint oil in case of air/car sickness or nausea. 13. Book flights or plan long drives during naptimes/downtime. 14. Have a ziplock bag or specific pouch in your carry-on bag or purse to conveniently keep all tickets, IDs, etc. organized. Nothing's worse than frantically digging around a big bag to find what you need. 15. Bring water shoes for kids- they're great for hot pool decks, the beach, etc. 16. Be sure to have wipes and a travel sunscreen on hand at all times. 17. Pack more snacks than you think you'll need, and be sure they are individually bagged or packed. This way everyone has their own, and you can easily pass them across an aisle or back in the car. 18. When going to a crowded place, sharpie your name and phone number on your child's forearm, or use a Safety Tattoo. 19. 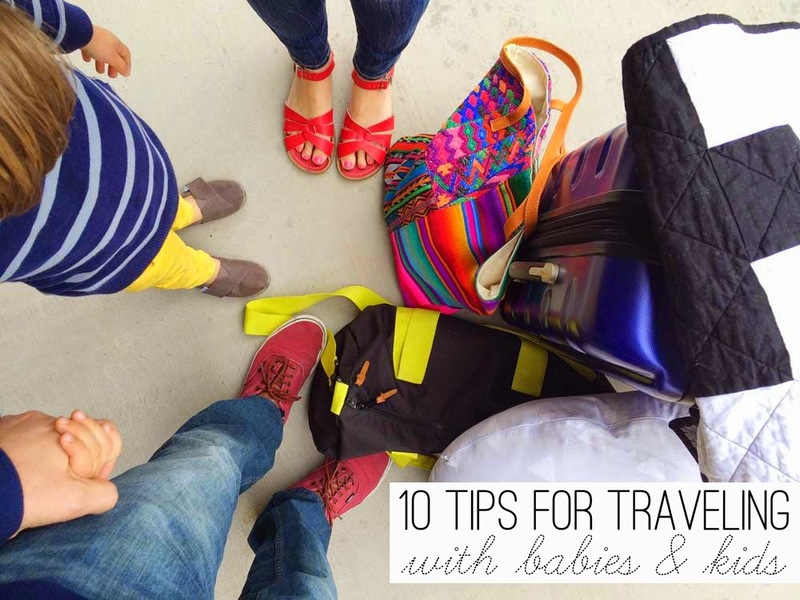 When traveling with a baby, call ahead to the hotel and see if they can have a pack 'n play or crib already set up in the room. Being able to have your child safely contained when you arrive and want to get settled and unpacked is so helpful. And if you're renting a place, just ask! In our experience the property owners we've worked with have always been extra accommodating. 20. Smile, laugh, then laugh some more. Things will go wrong, yes...but sometimes the best memories are made during those times! I am a firm believer in healthy sleep habits and am happy to say this is one of the best 'traveling tips' I have read. 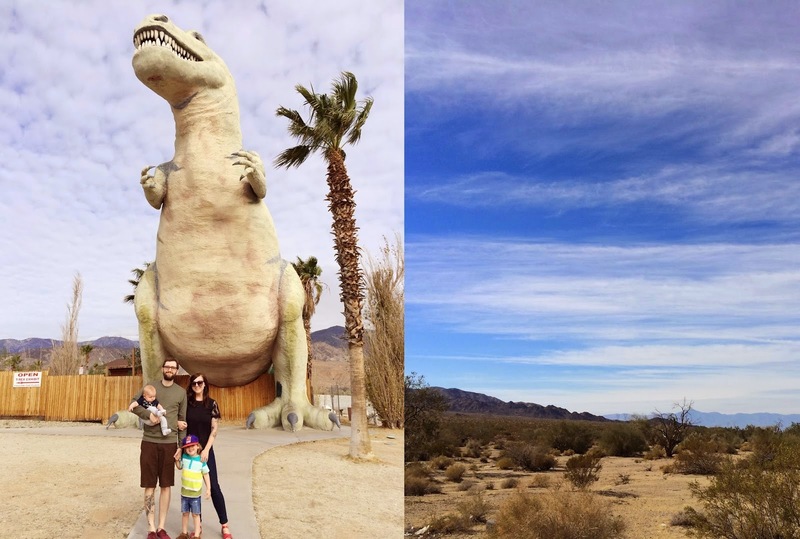 Traveling with kids and sleeping arrangements sound so simple if you're co-sleeping. But what happens if you're not? Bookmarking this list. thanks for sharing this! advice I haven't thought of then the normal. You're welcome, Becca! I'm happy you enjoyed it. we took my almost two year old to Italy last year and totally concur with your tips! rent a house, abandon your expectations, pack cheapy new toys to keep things novel and exciting for them on long plane and train rides, and when necessary bribe with lollipops and gelato. it's vacation after all. let your kid live it up too! Totally agree! And by the way...gelato sounds SO good right now. And so does Italy- I would love to go there one day. Oh my gosh really they would set up a pack n play for you? I must figure out how you do this because we have quite a few trips planned towards the end of summer. Awww,your kids are so cute :) and the tips are great!! These are great tips! I'll be driving to the OBX by myself with my girls this year (my hubby and son are going down a day earlier), so I'm super nervous about traveling alone with them! ah! We just went on an adventure tooooooo! Across the whole wide country with a 15 month old in tow. So much fun. The safety tattoo: genius o_o and all Of the tips.